Program evaluation has the potential to inform and improve youth work practice, as well as help youth sector organizations and initiatives to better understand the impact of their work. This report presents findings from the first province-wide study of the Ontario youth sector's experiences conducting evaluations of their programs and services. This multi-focal study, led by Ontario's Youth Research & Evaluation eXchange (YouthREX), used a Community Dialogue Approach. Grounded in an extensive literature review and drawing on survey and interview data, the report puts forward ten key recommendations for three youth sector stakeholder groups: funders, evaluation capacity builders, and youth sector organizations. 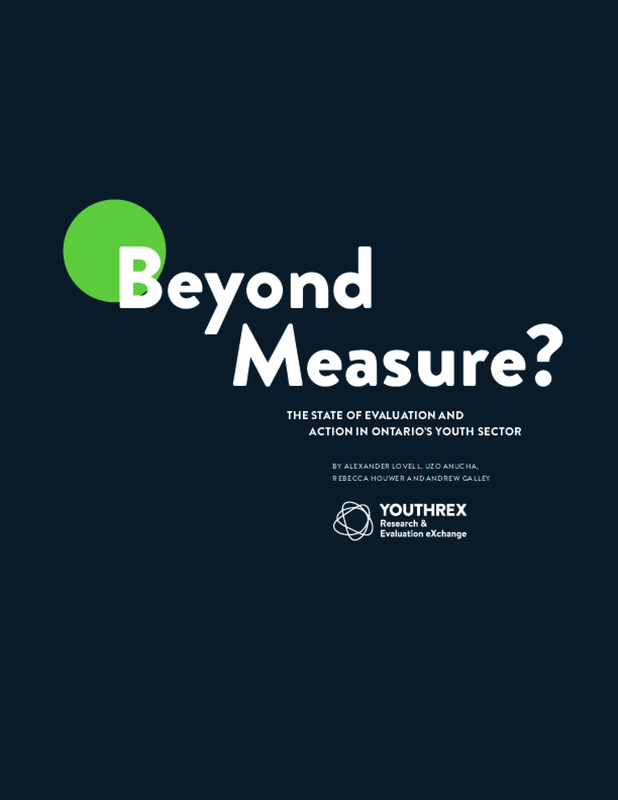 The study's contextualized examination of the youth sector's evaluation strengths informs YouthREX's service delivery strategy, and contributes to critical conversations around evaluation-related challenges and opportunities in the youth sector context.